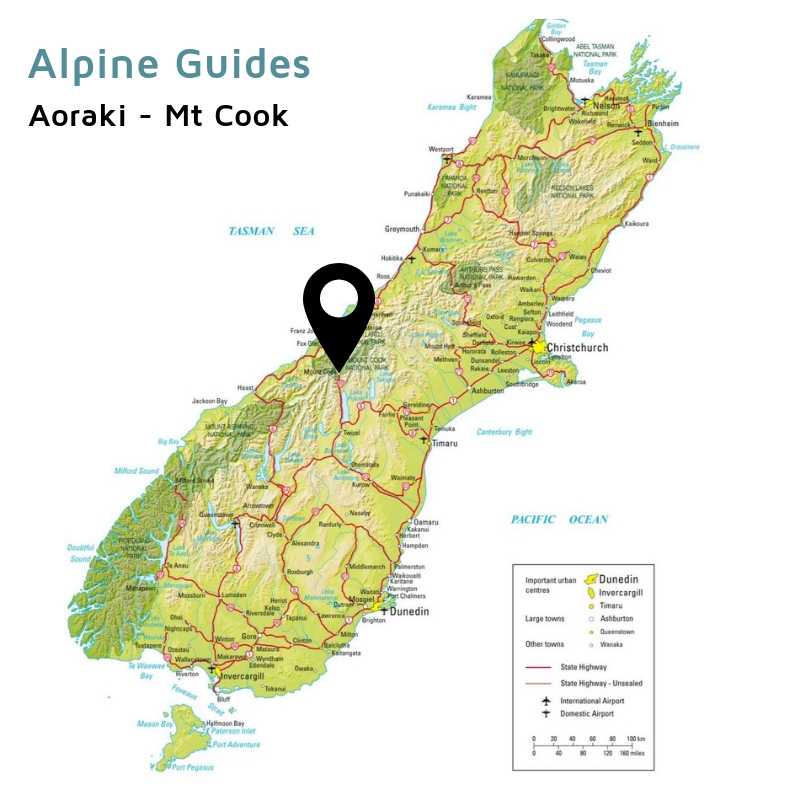 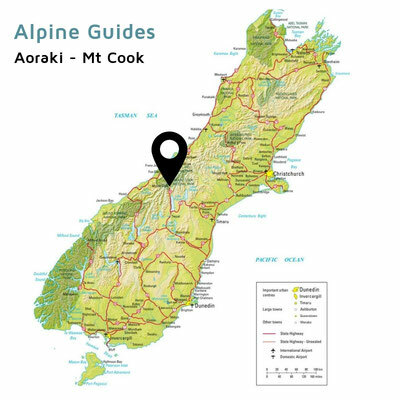 NEW: Ski the Tasman - by Alpine Guides - Aoraki Mt Cook - Website of smartourism! 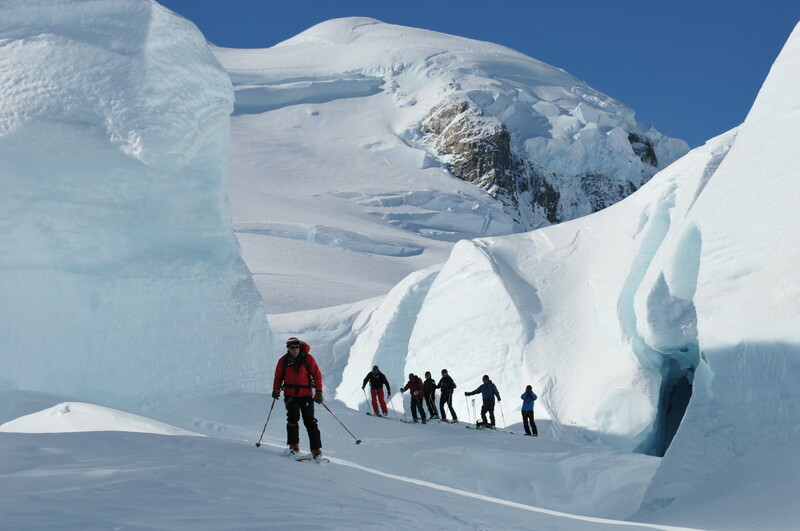 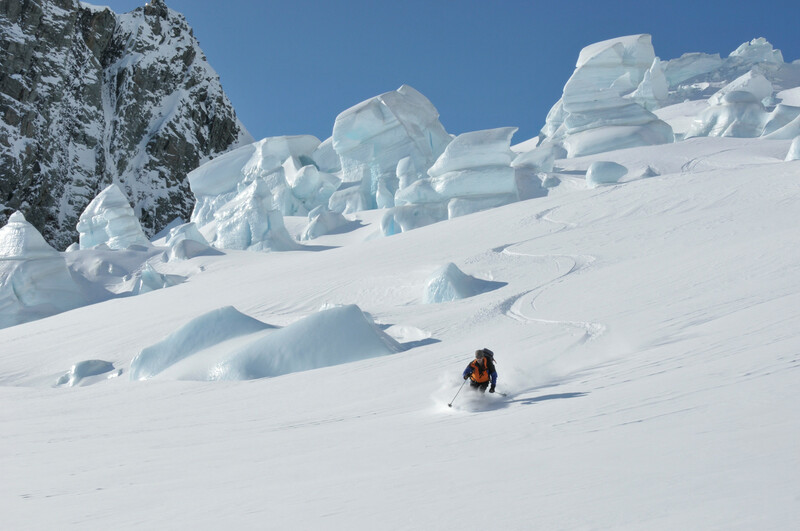 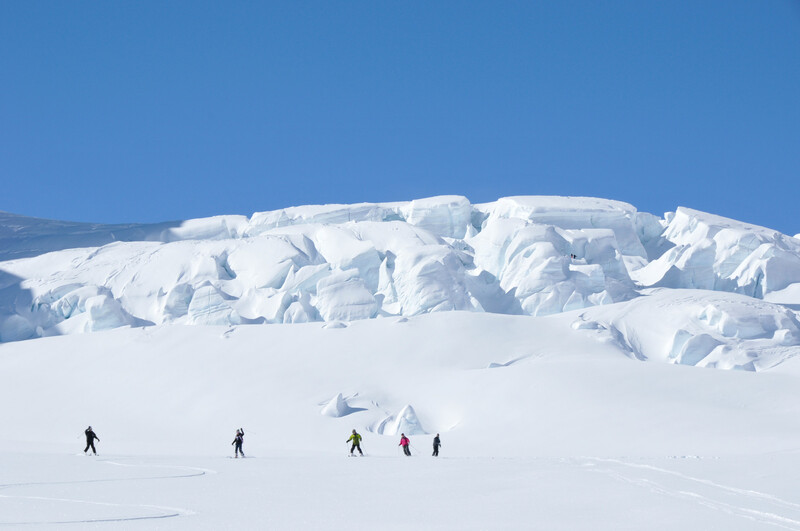 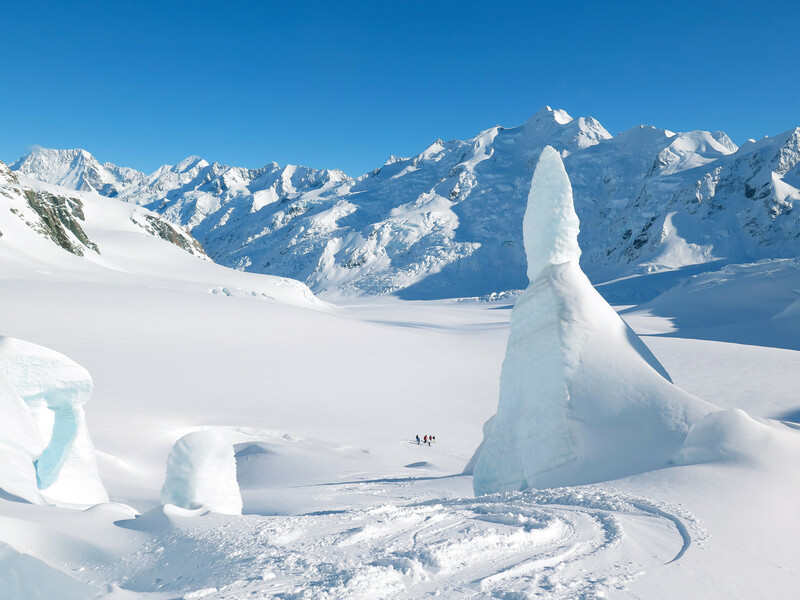 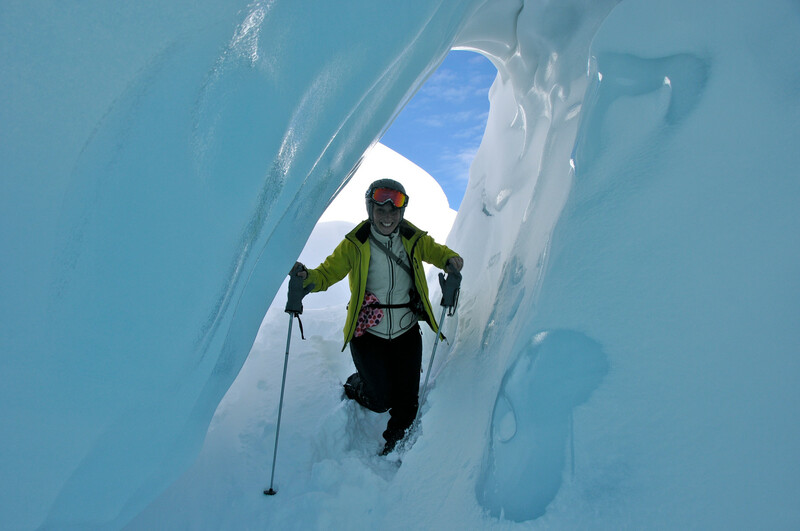 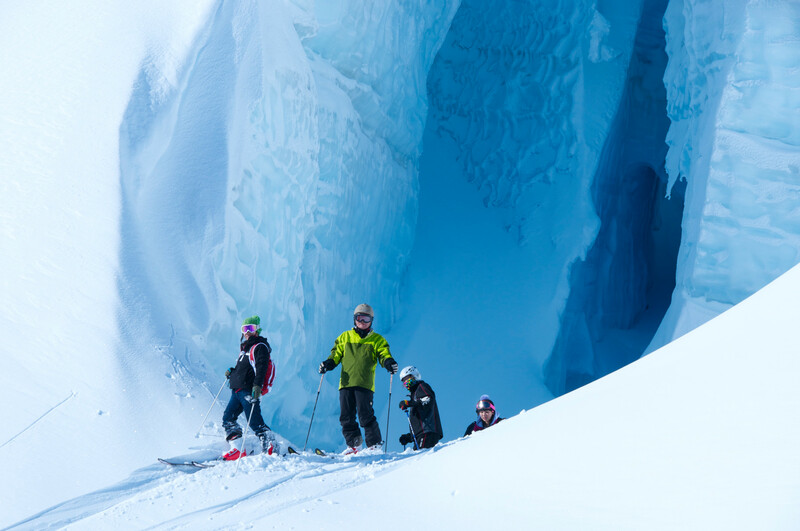 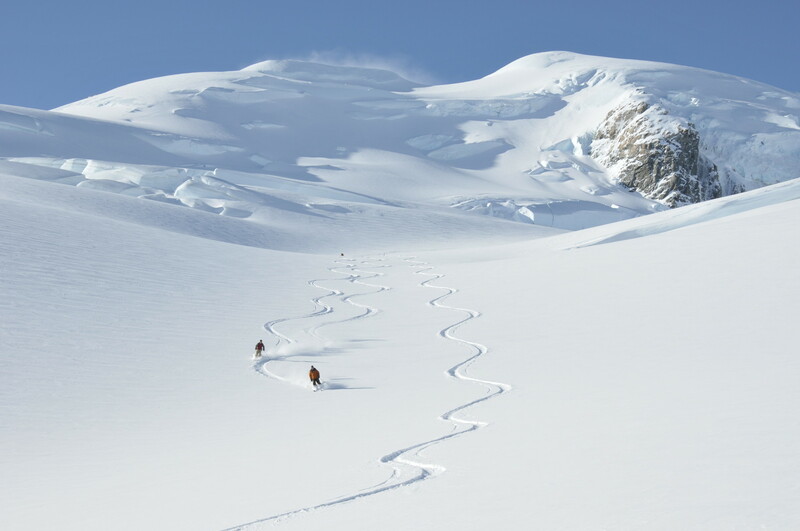 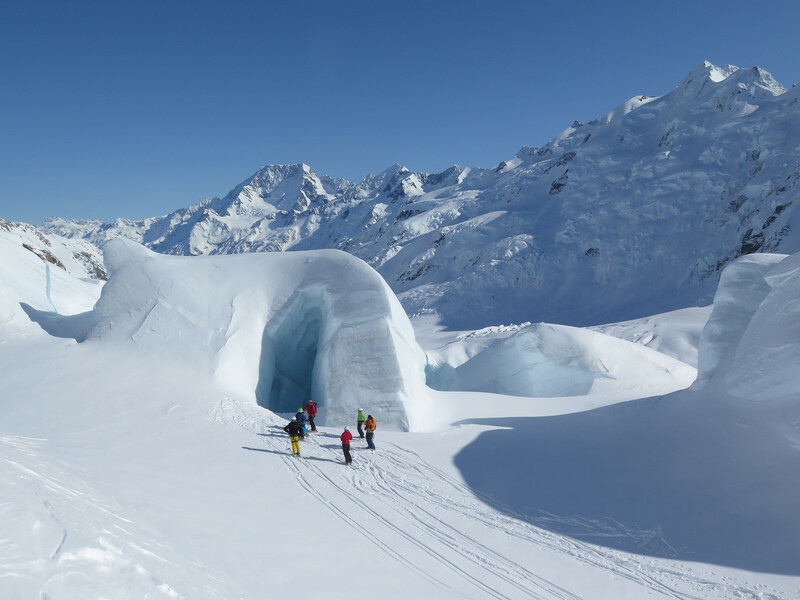 Professionally guided by Alpine Guides for more than 40 years, Ski the Tasman is a fantastic ski adventure on New Zealand's longest glacier – the 27 km long Tasman. With your qualified mountain guide and a small group of adventurous skiers you will ski the 2 longest runs in the Southern Hemisphere outside Antarctica – between 8 to 10 km each. Ski The Tasman flies every fine day from 01 July to 30 September. 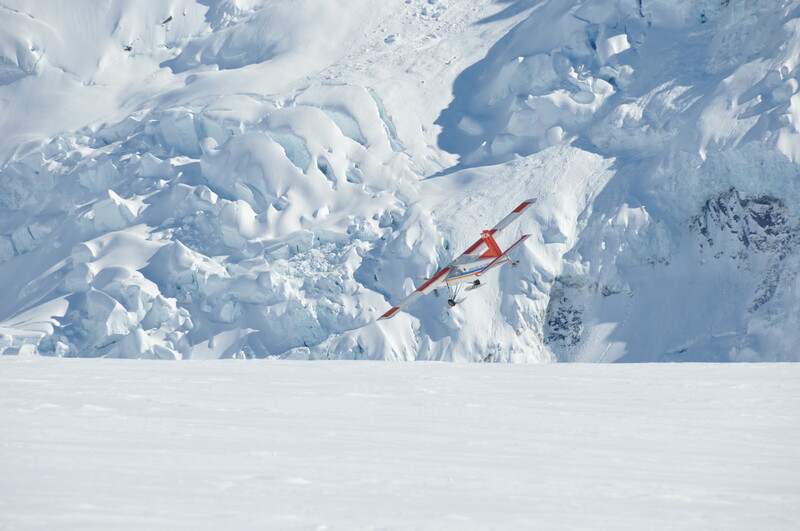 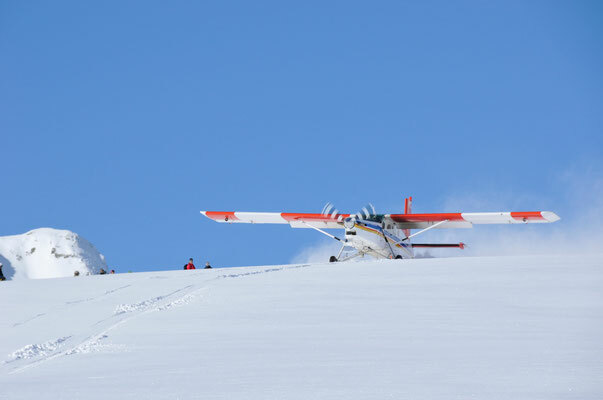 The day includes three breath-taking flights, picnic lunch on the snow, and guide services. 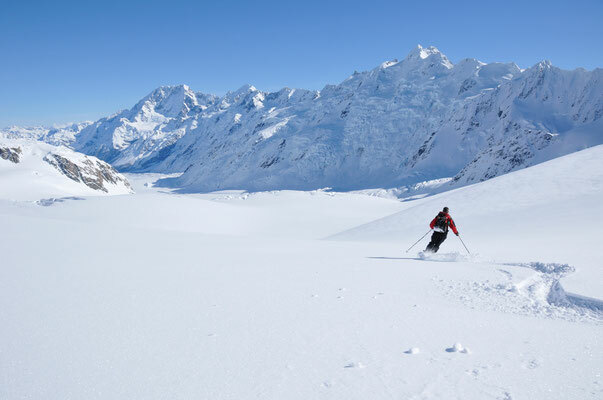 Flying from Mt Cook airport on your ski plane or helicopter you land at 2,600 metres for the first 1,000 metre ski descent over 8 kilometres. Your aircraft then returns you to the top where we take lunch before the second incredible run. The skiing is perfect for intermediate skiers of average fitness, with easy, open slopes - similar to blue runs at a ski area, except with natural ungroomed snow. 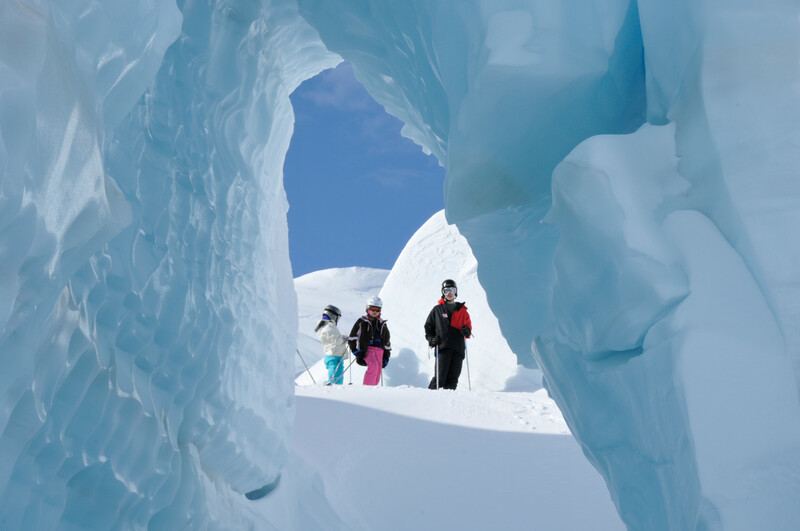 We take our time to enjoy the natural quiet and absorb the champagne air of the high alpine. 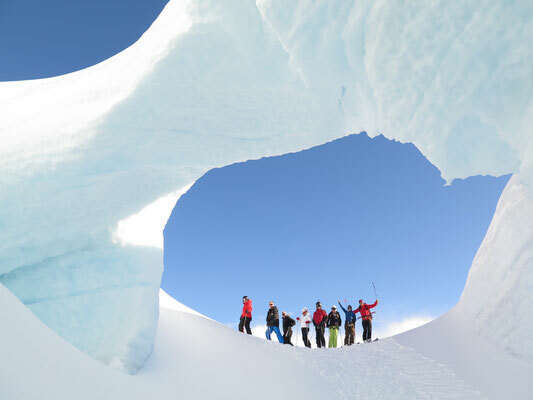 The pace is relaxed and your guide will take time to explain the natural forces at work in the mountains. 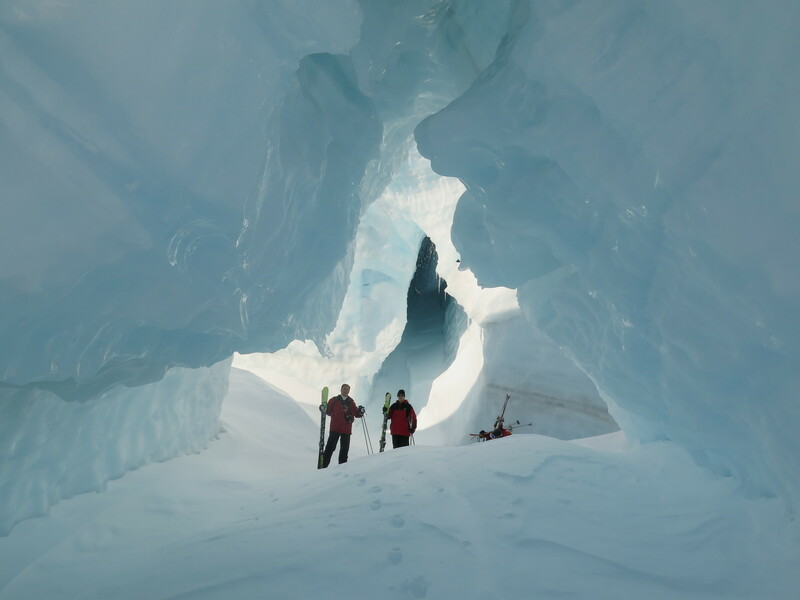 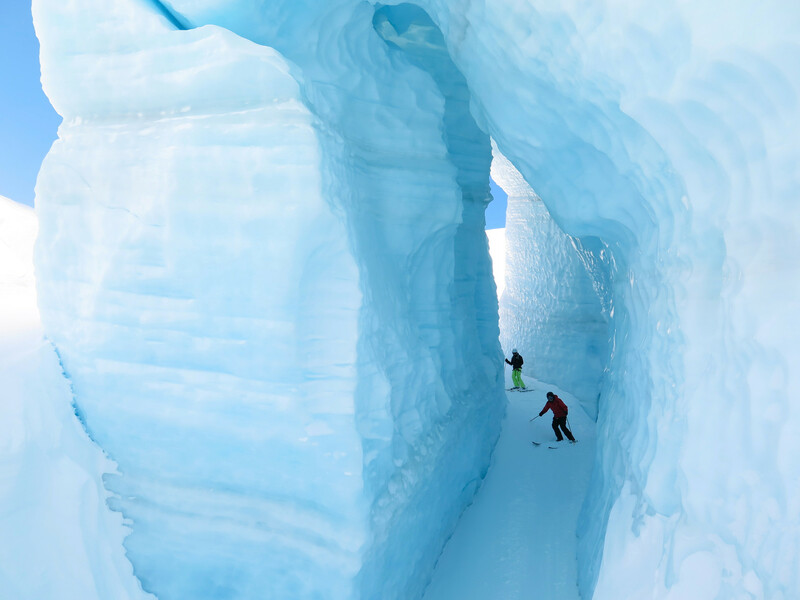 A highlight of skiing the Tasman (and a favourite for photographs) are the blue-ice caves and seracs - fantastically shaped ice blocks - that you will be safely guided though. 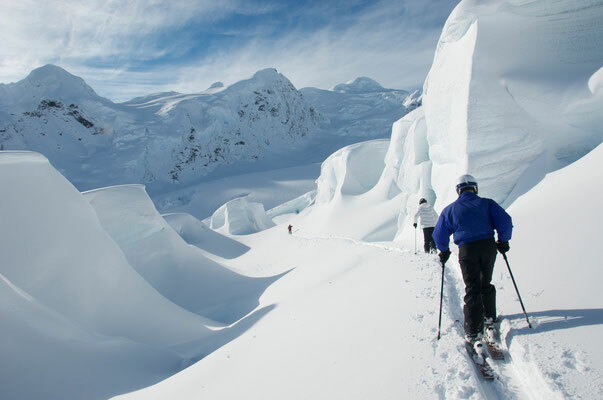 Skiing the Tasman is bound to be the highlight of any NZ ski holiday, and has become a ‘bucket- list’ activity for generations of Kiwis. 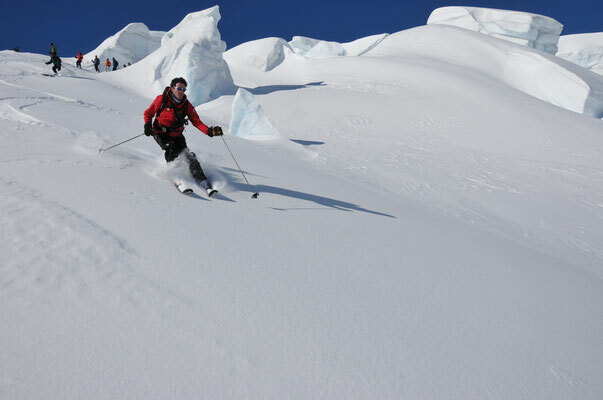 Alpine Guides also offers daily return air services to Ski The Tasman from Queenstown or Wanaka. Rental powder skis, boots and poles are available. 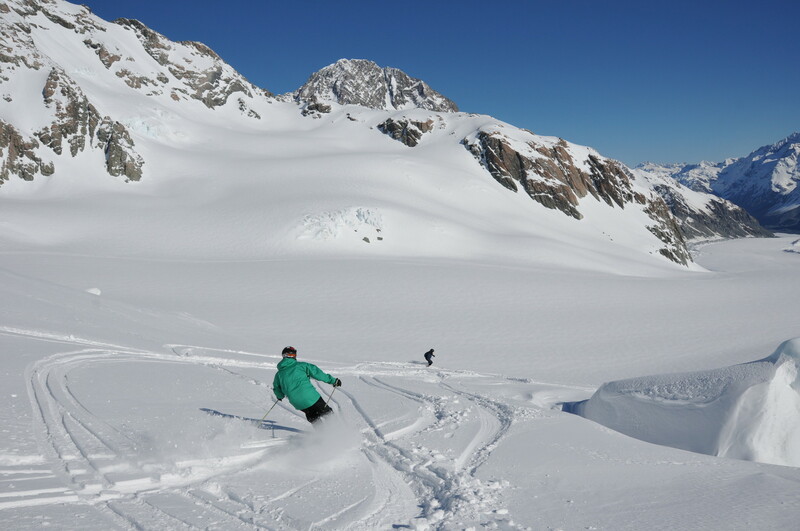 Sorry, Ski The Tasman is not suitable for snowboarders.